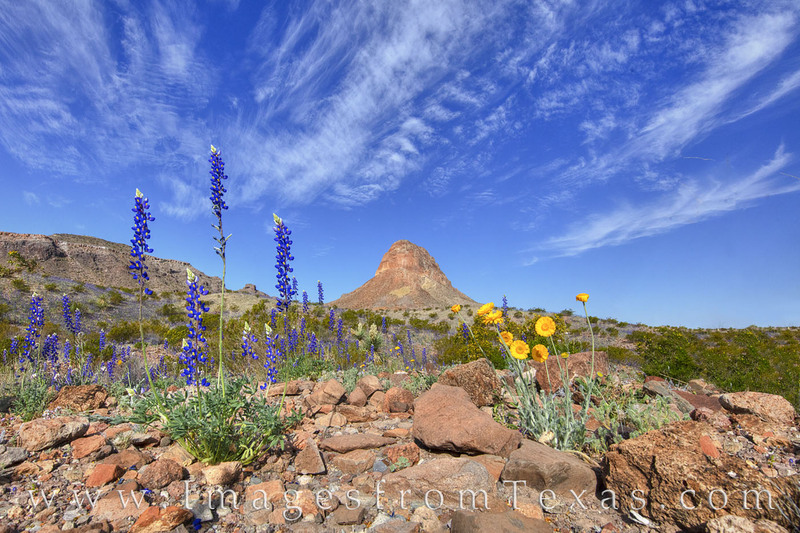 Bluebonnets and Desert Marigold, two of Big Bend’s more colorful wildflowers, add a splash of vibrance to the desert floor near Tuff Canyon and Cerro Castellan. Taken just off River Road West, the spring landscape was mixed with several varities of blooms, and the high clouds against the blue sky kept me wandering along for more and more great angles. Photo © copyright by Rob Greebon.